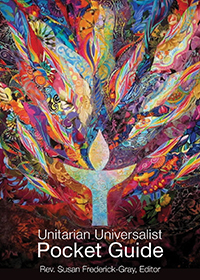 Rise UP: Unitarian Universalism in Oakland, California in 2025, How Will We Prepare? Our third guest speaker in our month of celebration is Rev. Chris Long who did his internship with the church from August of 2006 through June of 2008. It is hard to believe ten years have passed since the end of … read more. “Is It Magic or Is It Grace”? We drink from wells that we did not dig. We eat from fruit trees that we did not plant. We are sustained by a planet that we take for granted. How can this be? Worship Associate Bill Blakely, Rev. Jacqueline will shine some light on the theological concept of Grace and how it might operate in our living. Crescendo Choir and Joyful Noise will also bring light to our shared worship experiences. All are welcome. All are worthy. There will be Children’s Chapel in the Starr King Room and then Spirit Art & Games.